Valencia Center for Women's Health Navid Navizadeh, MD, F.A.C.O.G. At Valencia Center for Women’s Health, Dr. Navid Navizadeh is a leading provider of women’s health services including obstetrics and gynecology. Patients throughout the Valencia, California area, can receive services such as fetal testing, family planning, minimally invasive procedures, genetic counseling, gynecological cancers screening, laparoscopic surgery, 4D/3D ultrasounds, hysteroscopy, and pelvic reconstruction as well as care for infertility, menopause, urinary incontinence, and osteoporosis. Dr. Navizadeh is the founder and medical director of Valencia Center for Women’s Health. He received his undergraduate degree in genetics and molecular biology at the University of California. Dr. Navizadeh completed a comprehensive research fellowship in molecular and cell biology at the University of California at San Francisco (UCSF). He further expanded his research experience at the University of Southern California’s School of Medicine, where he obtained his medical degree. At the USC School of Medicine, Dr. Navizadeh had the chance to work on innovative research projects in the fields of obstetrics, gynecology, endocrinology, infertility, and ultrasound imaging. He investigated the effects of seizure disorders and the treatment programs in pregnancy. Dr. Navizadeh was awarded the Pacific Coast Fertility Society’s award in Estrogen research. Dr. Navizadeh completed an internship in Obstetrics at the Parkland Memorial Hospital in Dallas, Texas. He continued his residency at Mount Sinai-Maimonides Medical Center in New York. In obstetrics, his group’s work in ultrasonography to predicate preterm labor was published and received several awards. In the area of infertility and endocrinology, Dr. Navizadeh's works contributed to the understanding of the effects of an embryo’s size and quality in the process of in-vitro fertilization (IVF). Dr. Navizadeh completed the prestigious Galloway fellowship at the Memorial Sloan-Kettering Cancer Center in New York City. There, he had the opportunity to advance his surgical skills in complex gynecological operations in addition to learning the latest laparoscopic and endoscope techniques. 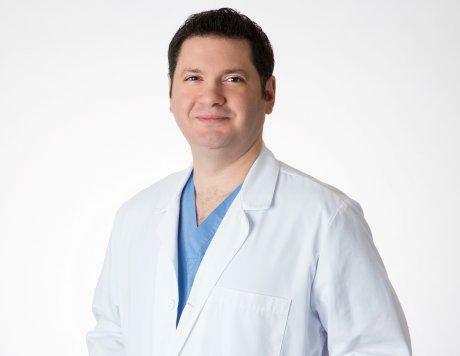 Dr. Navizadeh has also expanded his interest to urogynecology and pelvic surgery. In southern California, he pioneered the use of the new Transopturator Sling procedure for treating female urinary incontinence. Valencia Center for Women’s Health and Dr. Navizadeh welcome all new patients to the practice and can work with most forms of medical insurance.